I found out my girls had bipolar disorder a few years ago. I found out Alexis was dyslexic not longer afterwards. I accepted these things but didn't fully understand everything about them. I didn't understand that their sleep problems weren't a symptom but a cause of the bipolar disorder. I didn't understand the complete lack of control over their own sleep habits or that it would be a battle they fight daily for the rest of their lives. I still wanted to fit their homeschooling into my Aspie schedule. I wanted family studies to begin at 9 a.m. and independent studies to begin after lunch. After all, children learn best right after a refreshing sleep. So they should sleep and then wake to studies, right? Earlier this year, I decided that I'd adapt. I'd work with what we've got. You know what? I didn't adapt. It's almost as difficult for me to let go of a routine as it is for them to force themselves to sleep like the rest of the world. Almost. The truth is, it's easier for me to change my neurologically induced habits than is it for them to change a broken circadian rhythm. Must they strive to sleep at night? Yes. It's best. What happens, however, if they lose the fight? Do we just throw homeschool to the wind? No. I'm actually quite tired of that happening when they go on their "off" schedule. I'm also tired of staying up all night in an effort to get all things done. I cannot continue this way. 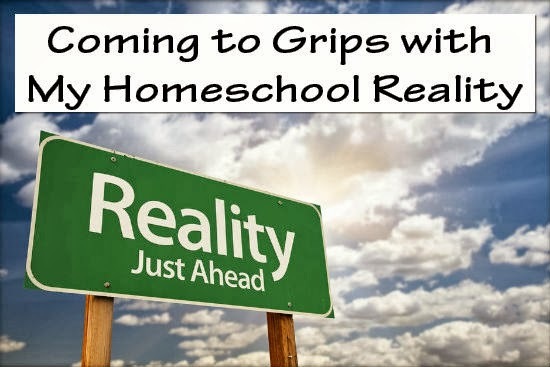 For 4 years, I've enjoyed the concepts behind our Charlotte Mason style of homeschooling. The principles, the habit forming, teaching multiple ages through family studies and sticking to a predictable routine have all been a huge part of what I love about this method. I cannot continue to wait on everything work. It's simply never going to work in a way that is permanent and consistent. I must let go of the family studies. I must let go of the idea that we'll all be up happily enjoying family studies at 9 a.m. after a nice breakfast together. My reality is that my daughters have these issues and I must work around it. Alexis has dyslexia and I must work with that, too. I'm laying out books and lessons at night. Separate lessons. No family studies. I'm not leaving Charlotte Mason behind. I'm not even tossing out the principles and teachings. I'm simply teaching them separately and tossing the idea of a predictable routine. My days of teaching multiple children are ending. That saddens me. Teaching them the same subjects at the same time saves time. It's easier to plan and conduct lessons when there is only one set of lessons. It also allows us to learn together. Still, I am happy with my new resolve. I'm happy that Alexis will be more independent in her studies. I'm thrilled at the idea of not casting homeschool days to the wayside. I'm excited to try some materials that may actually be more dyslexia friendly for Alexis. There you have it. This is my public proclamation to adapt, change and move forward in my homeschool. I'm publicly holding myself accountable. In fact, I've already begun. 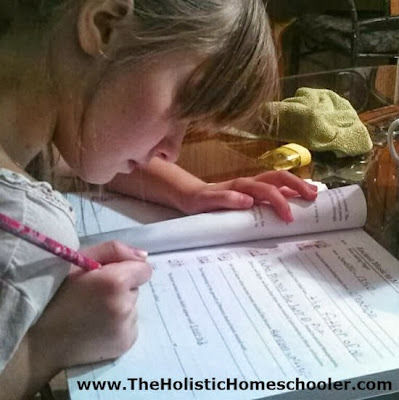 What are some changes you've had to make in your homeschool over the years? Share in the comments. Disclaimer: I respect my children's privacy and level of comfort. Posts such as this one have been discussed with and approved by them. Yeah well we all had huge expectations of our homeschools online to figure out that hey...we can change them. We are free. I've made a lot of changes this year. However I've had to homeschool my kids separate. I rather like it that way but I also only have 2 kids I'm homeschooling and they are old enough to do a lot independently. I have two as well. I just find it easier to teach certain subjects (history, geography, scriptures, art and composers) at the same time. I'm so glad you found encouragement. It's tough. I definitely had a type with accepting it. Still, we do what's best, don't we? I really enjoyed this post. I homeschool my two children (dd has Autism and OCD's and Anxiety), with hyperlexia/gifted areas. My ds is an Aspie, has Touettes, ADHD, OCD's, Dyslexia and speech and defience disorders and is having a hard time right now. He is gifted in many areas but refuses to do work and is so mean to us during our school day. I try to make things interesting for him but things just aren't working right now. I felt good to know that someone out there is accepting reality too...and I am not alone. I appreciate you sharing this with us. I love it. It's hard to come to grips with reality sometimes. When I struggle my husband always says, "this is why we home school honey, so we can do it how ever it works for the kids." This is right on time! I am only in my second year of homeschooling my first grader, but it's articles like these that love. We started our year doing our school work at a time that worked best based on the whole family's schedule. My 4 year old is in preschool because I can send him to our churches preschool that I think it is just a fun experience and a healthy environment for him. I have a 10 month old who naps for 2 hours right after we take him to school, so, according to the clock, this is the ideal time to school uninterrupted. Like you said, we're all up freshly slept and fed. In my mind it is the perfect time. My daughter does well, but she is resistant at times like everyone's kids. Well, last week she wasn't feeling well in the morning so we decided to do our work a little later in the morning when she was clearly feeling better. She really enjoyed the break and being able to draw and do crafty stuff at her leisure first. When we sat down to do her school work she was a new child. It's amazing the difference it makes by letting her work when she feels ready. I don't use a particular curriculum. I design my own based on the Charlotte Mason methods. No matter the challenges in my family (A.D.H.D., dyslexia, Aspergers, Bipolar), this method seems to work best. If you need assistance, I am a homeschool consultant and would be happy to assist you. Very good! I don't have special needs children, not to the point of hindering learning. But I have had to do a similar thing in my large family of 10 children. The schedule is not going to happen, but I still make learning happen, or I should say, I allow it to happen and flow naturally.